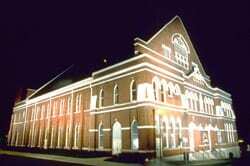 Nashville’s historic Ryman Auditorium has been named Venue of the Year by the Academy of Country Music. This marks the third time that the iconic venue has been honored with the industry-voted award. The 48th annual ACM Awards show will be held Sunday, April 7, at the MGM Grand in Las Vegas and televised live at 8:00 p.m. ET on CBS. Industry awards, including Venue of the Year, will be formally presented September 10 at the Ryman during the ACM Honors event. DeSalvo Law Firm PLLC has relocated its office from historic Germantown to West End Avenue at 18th Avenue near the Row. The firm, specializing in entertainment, copyright, and trademark law, now can be found at 1720 West End Avenue, Suite 403, Nashville, TN 37203. Founding member and industry veteran, Ramona P. DeSalvo, says, “We are growing over the next few months, adding new attorneys, and offering a broader range of creative services.” Sharing the new space is entertainment attorney Christian Barker who holds a B.A. from the University of Tennessee, an MBA and J.D. from Stetson University in Florida, and a Master of Environmental Law and Policy from Vermont Law School. Barker also attended the year-long Intellectual Property Exchange at University of New Hampshire School of Law. For more information about the firm, please contact (615) 600-4741. March Music, Inc. and LioLamb Music are under new ownership. Staff for the companies include President Kimberly Mullen (also of Granite Music Group/Rock Solid Granite Music), David Allen Haggard (Creative Director), Chad Mullen (Sr. Director of Marketing) and Shelby Mullen (Administrative Director). March Music Inc., LioLamb Music and Granite Music have also welcomed new staff writer Corey Lee Barker to their roster. The Granite Group can be reached here. 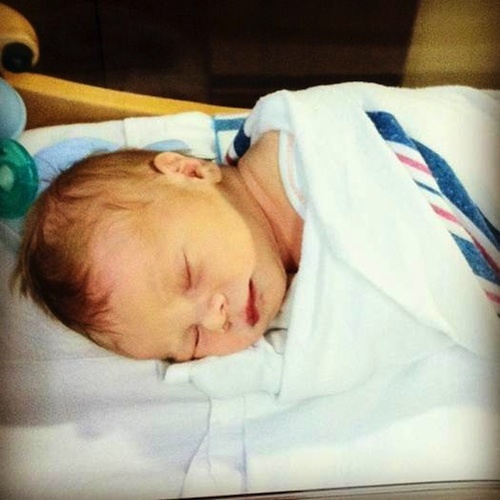 Warner Music Nashville’s Northeast Regional Promotion representative Katie Bright and husband Grant welcomed their first child, William Leo Christenson, on March 21 at 8:49 p.m. Christenson weighed 7 lbs, 10 oz and was 21 inches long. Congratulate Katie here.